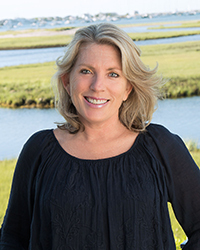 Recognized as one of Nantucket's premier real estate agents, celebrating 24 years in the business, she has been active in the Nantucket Real Estate market since 1992. Initially as a real estate appraiser and successfully transitioning into real estate sales to become top producer. She is well versed working through various economic cycles and knowledgeable in residential sales, historic homes, land sales and new home construction. Excellent service and attention to detail has been a cornerstone practice; ensuring her clients successful results while navigating through real estate transactions that can sometimes become quite complex. Mary recently joined Maury People Sotheby's International Realty to share her local knowledge, enjoy the vibrancy of Main Street Nantucket and offer her clients global exposure. Mary came “around the point” after graduating from the University of Massachusetts at Amherst and fell in love with the stark beauty of the island’s pristine beaches, open moorlands, rich maritime history. After traveling the globe for a bit and experiencing life abroad she decided to make the island her home and enjoy life in a coastal community and raise her family. She and her husband James have two children, Abigail & James, who attended the Nantucket Lighthouse School and are now at Nantucket High School. Downtime on the island includes boating, and sailing during the summer months and dinner parties and long walks along the beaches and moors with their three yellow labs during the winter months.